The transparent body and complex anatomy of Artemide’s Harry H light evoke the sea creature’s elegant form—without any of the sting. Few members of the animal kingdom are as captivating as the jellyfish. Otherworldly and impossibly graceful, its translucent bell-shaped body complements a magical trail of tentacles, which deliver its signature sting. 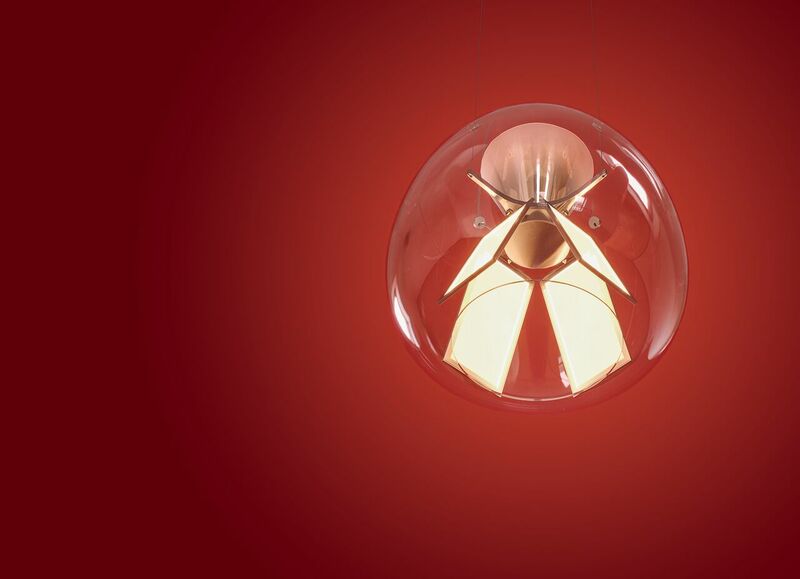 A similar combination of beauty and electricity is apparent in Harry H, a pendant designed by Carlotta de Bevilacqua for the Italian lighting company Artemide. The fixture features four rectangular OLED panels, which emit light from their mirrored surfaces and can be adjusted to 20- or 30-degree angles. They’re surrounded by a transparent mouth-blown glass body, which, like that of the elegant sea creature, showcases its complex anatomy.